Looking for a new country pursuit? Well how about this one. 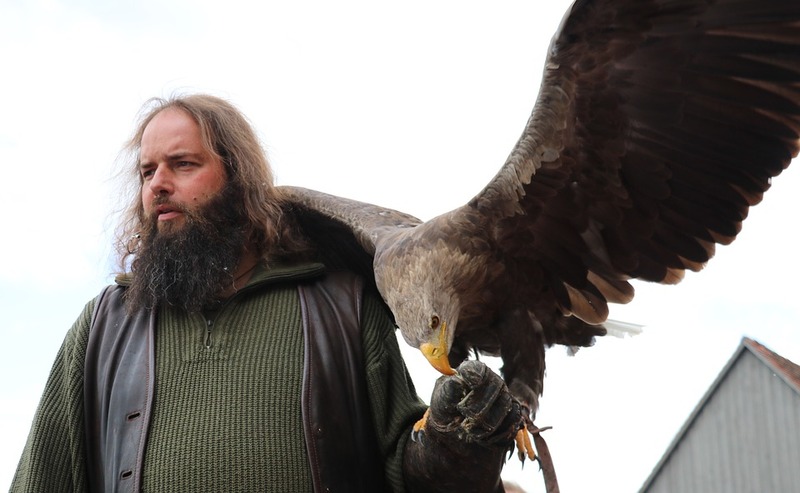 Falconry has made a huge comeback in Ireland recently. But we were always in love with birds of prey. While falconry was once considered a genteel country sport of noblemen, now anyone with a fascination with the birds and the right permits can be a pseudo-nobleman. So what is falconry and why on earth would you want to do it? Falconry is basically the pursuit of game with a trained raptor. But the attraction is not the horribly mauled creature your bird pulls from a field. The attraction lies with the birds themselves. If you have ever seen them in the flesh you’ll know they are completely mesmerizing creatures. This X-factor is the main attraction of falconry. It really is just a sport which serves as an excuse to be around these amazing birds all day long. As a sport falconry certainly has had staying power. It has been around for around 4,000 years. Its history has been traced as far back as 2,000 BC through ancient writings, artifacts, and art. It developed in the ancient civilizations of the Middle East, Asia, and Europe and has been around ever since. But it was the Europeans who took it to its poshest heights. 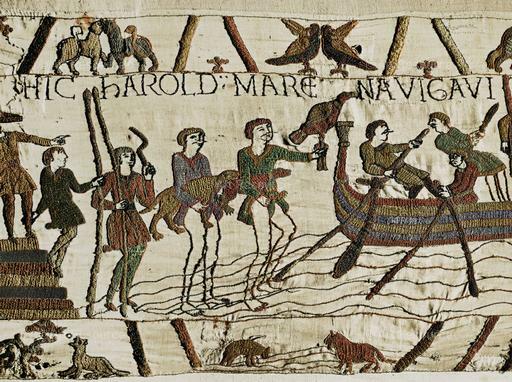 The Bayeux Tapestry of 1,070 shows King Harold of England with a hawk in one scene. It is said that the King owned the largest collection of books on the sport in all of Europe. The Bayeux Tapestry of 1070 shows King Harold of England with a Hawk in one scene. Ireland wasn’t to be left out of this upper-class pastime. 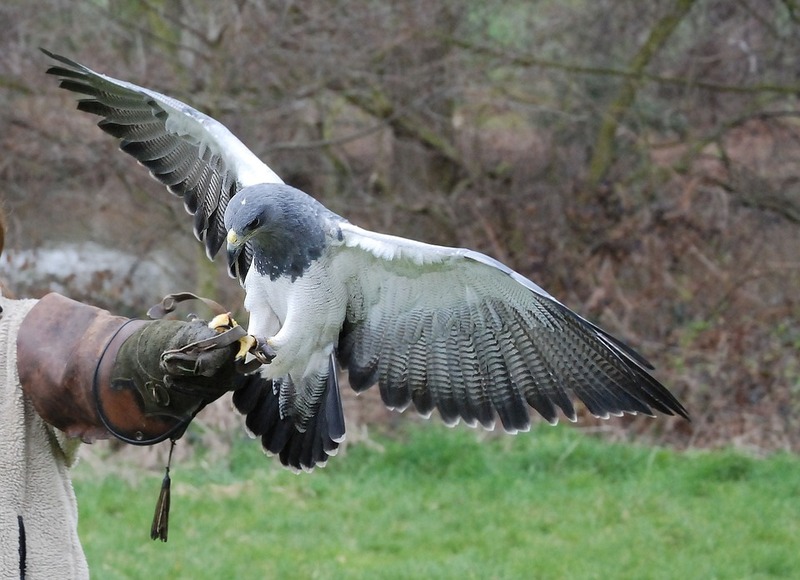 Falconry in Ireland started to make an appearance around the 12th Century with the arrival of the Anglo-Normans. The earliest known reference to falconry is in the Irish text Betha Colman Maic Luachain (The Life of St Colman Maic Luachain) in the 7th Century, in which the King of Tara is described as having ‘da seabhac selga’, or two hunting hawks. Actual falconry references are then nowhere to be found again until the 12th Century, when it would seem the arrival of the Anglo Normans finally secured falconry’s place here. Here, too, it was deemed a pet project of the nobility – until the everyday Irishman worked out that there was money and prestige in flogging hawks to offensively rich noblemen. Soon Ireland became synonymous with providing the best hawks available. 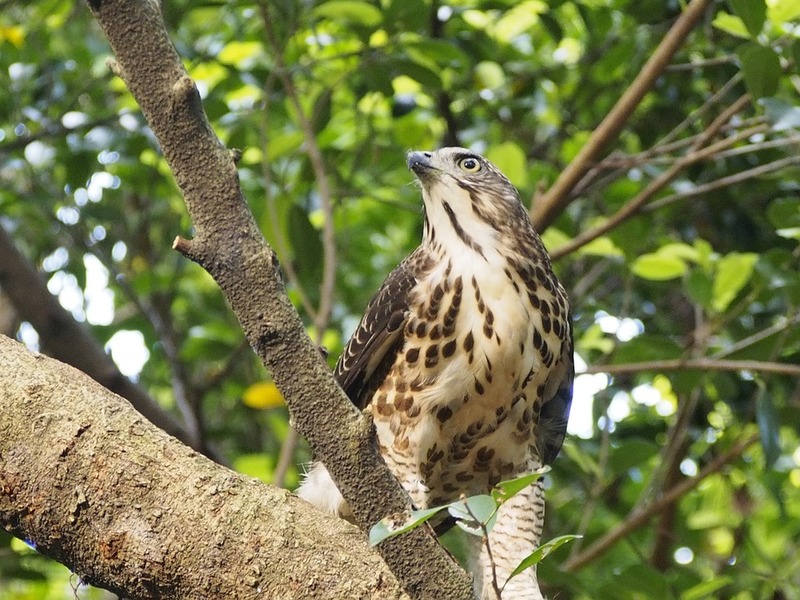 Raptors and goshawks became hot property, and would afford the breeder a very decent living. In fact records found in Kilkenny Castle, dating back to the 14th Century lists different types of hawks that were used for rent payment. Falconry also appears at other junctures in Ireland’s history. The Earl of Thomond at Bunratty Castle, Clare, has his signature on legal documents from 1615 in which the rights to his harvest of goshawks are made legally binding. This was serious stuff – raptor stocks actually written into the law. In the mid 1600s, Lord Ormonde established Phoenix Park as a Royal Hunting Park just at the edge of Dublin city. The sight was stocked with deer and pheasants for hounds and hawks. A high wall was built around it to keep game in and poachers out. Meanwhile, in 1693, a newspaper called the Dublin Intelligence carried an ad for a lost hawk belonging to Lord Capall, offering a handsome reward of 30 shillings for its return. Falconry wasn’t always known as the sport of kings. In some areas of the world it was a survival tactic to get more variety in limited diets. But soon enough, along came gunpowder and using falconry as a means of obtaining food died out. But falconry as a genteel pastime became more popular than ever. Things really took off sport-wise in the mid to late 18th Century, especially in Ireland. There are records from 1762 of Lord Bandon having a mews of hawks and a falconer at Ardfert Abbey in Kerry. In the early 1800s, it would appear that the Curragh in Kildare began to be exploited as a key destination for rook and magpie hawkers. Captain Salvin was based at the Curragh military camp in 1857. He and John Barr, falconer to Maharajah Dhuleep Singh, became fierce magpie hawkers, advertising meets in local papers. The training method for falconry has not essentially changed in centuries. 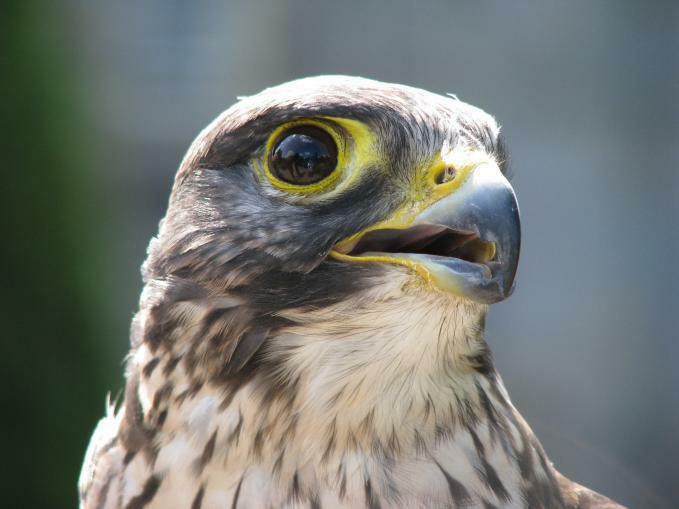 The general idea is to get the falcon to accept human as a partner in the hunting process. At the start the falcon is taught to get used to human presence, and it learns to take food from the falconer’s glove. After that it is encouraged to step up onto the glove for food rewards. Next the bird is taught to fly onto the glove to get the food reward. It is then taught to recognise something that resembles the intended game – like a toy mouse – and when it gets the “game” it is given a very big reward. After doing this for a month, the bird is then ready for release to try to hunt in a partnership with the falconer. It is at this time that the bird will be most likely try to escape and revert to the wild. This is why the raptors aren’t released anywhere where game is plentiful, because they will work out on their own that they don’t need some earth-based human to help them out. If birds are lost, most are found again due to modern-day radio transmitters. However, strangely, most stay with their owners for their entire lives and forgo freedom in return for a warm place to live, healthcare and companionship. 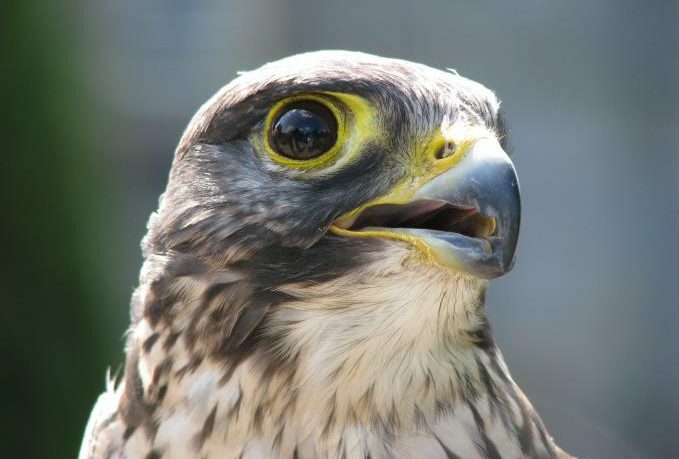 Falcons have a long life-span, living 15 years or more, and many outlive their middle-aged owners. While most birds have been on the endangered list for a long time, captive breeding has ensured that many species have been rescued. Since the 1980s, a great rebirth in the sport has been seen, and it is this which attracts many people to displays at country houses and game fairs. Its popularity is now estimated to be at the highest in 300 years. The only way to understand just how mesmerizing these creatures are is to go see what all the fuss is about. Below are some links where you could get hooked up with a raptor session. Next Article Where did Irish Names Come From? It’s fascinating that you train a falcon to hunt with you by getting it used to human presence and taking food from a falconer’s glove. That by doing this and providing a falcon with a warm place to live and companionship, you can train a bird to come back to you after hunting for small rodents is really impressive. I wonder if there are any shops that sell falcons nearby; my husband has always been interested in falconry and hunting, so he might appreciate the challenge of owning a falcon.